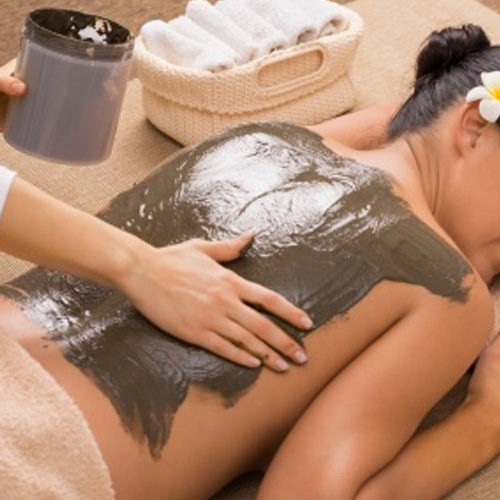 Body wraps are spa treatments where the skin is covered in muds ,coffee ,dead sea salt, chocolate, seaweed, aloe vera. This process involves physically scrubbing the skin with an abrasive. Mechanical exfoliants include , Aromatic salt, honey, coffee, coconut, seaweed, deadsea salt.